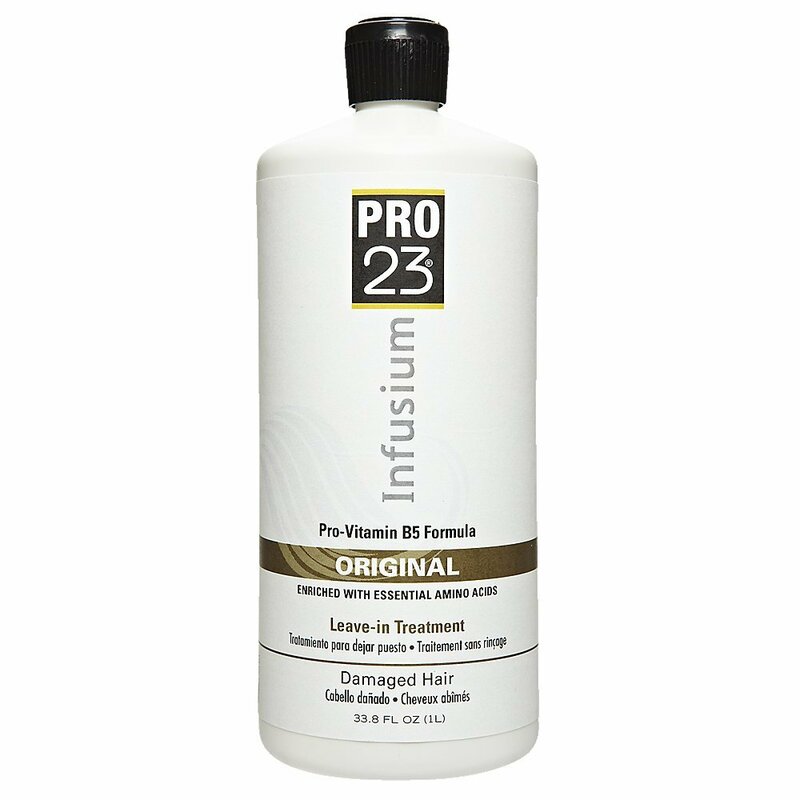 Infusium 23 Original Formula Pro-Vitamin Leave-In Hair Treatment This Infusium 23 Original Formula Hair Treatment is guaranteed to correct, restore, restructure and infuse hair! It comes with 23 essential pro-vitamins and treatment ingredients that instantly repairs and strengthens damaged hair from chemical processes or styling appliances. Also detangles, moisturizes and creates better manageability. If you have hair that is naturally long, thick or wavy it sometimes needs special treatment to restore the manageability and shine. It's perfect for any hair type! This formula is so light, it won't weigh your hair down maintaining healthy hair. Features Include: * Use after relaxer, perm or color services. * Ideal for all hair types * Rebuilds & restores dry, damaged, brittle hair to its natural, optimum condition. * Protects against split ends while sealing the cuticle after chemical services. * Increases amazing manageability & shine. * Detangles dry or wet hair with essential pro-vitamins. * Adds shine & moisture. Use after relaxer service, perm or color treating.